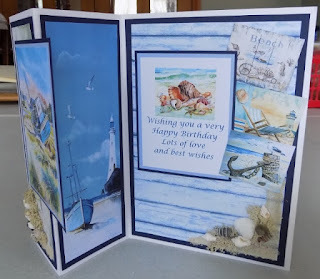 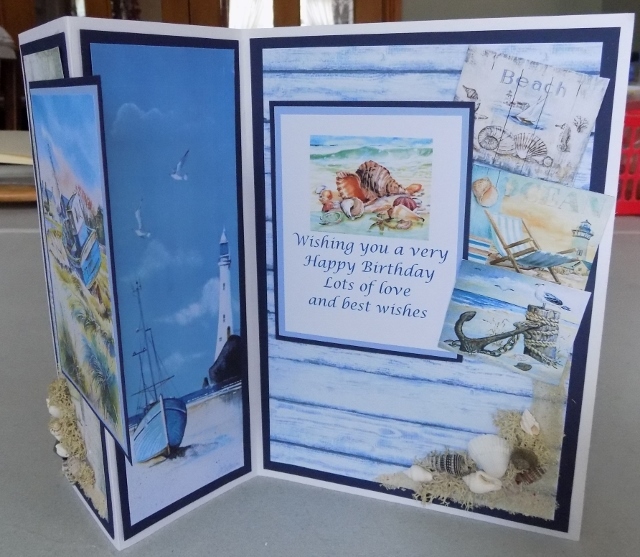 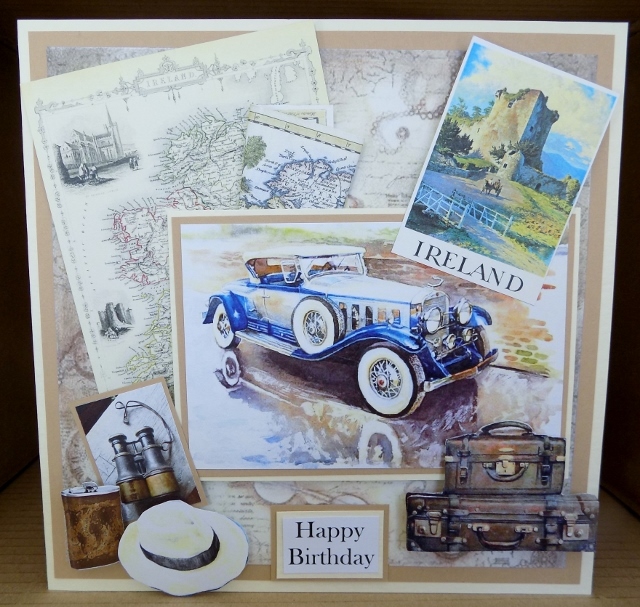 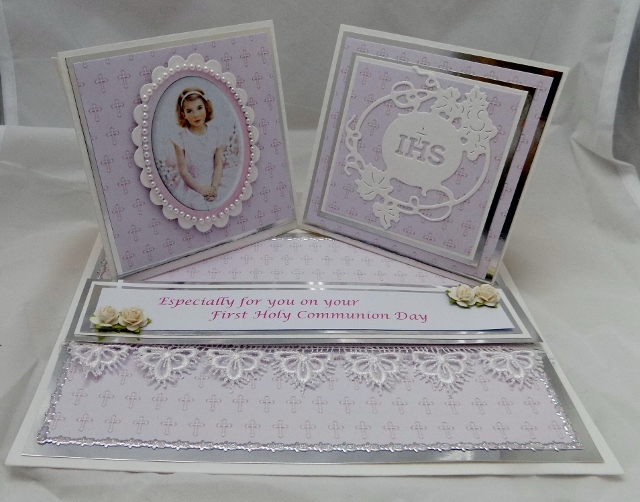 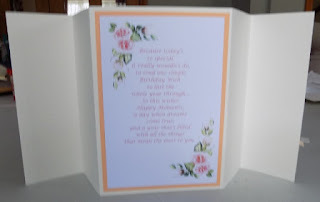 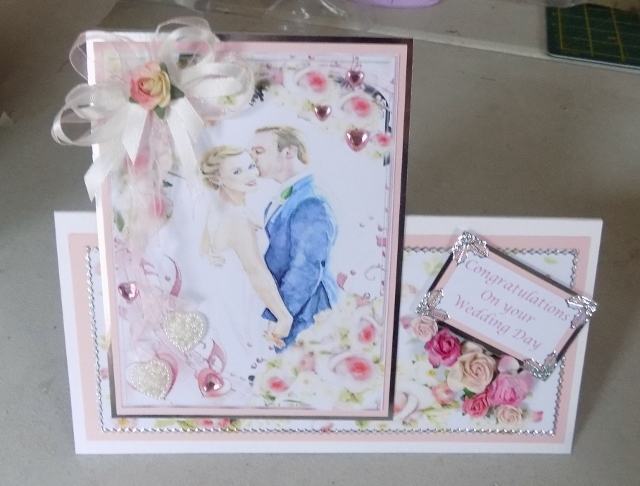 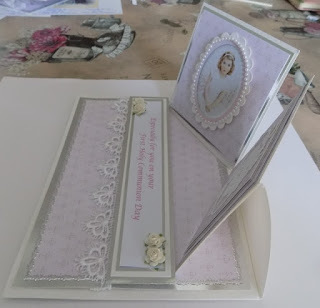 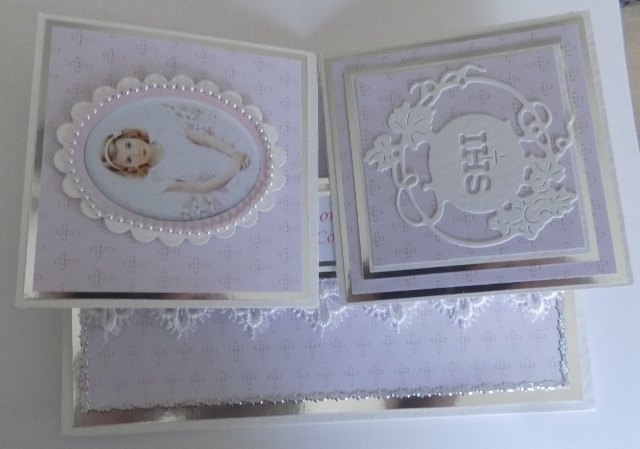 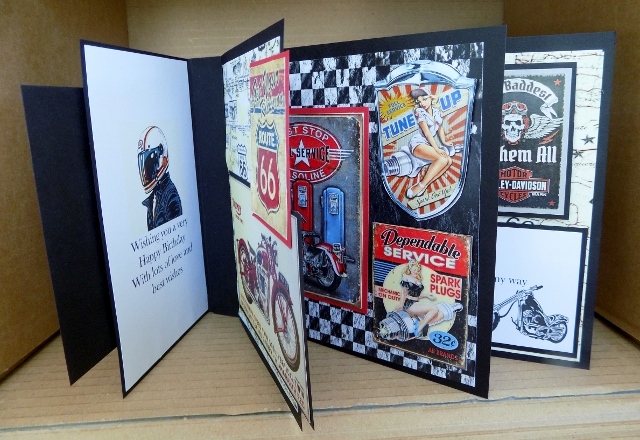 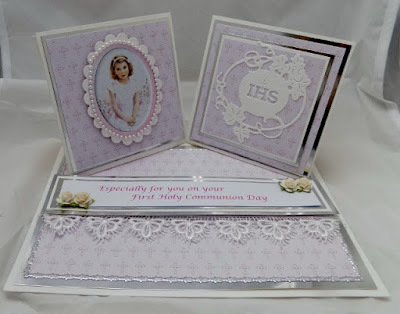 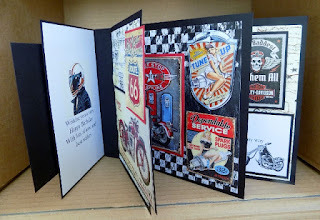 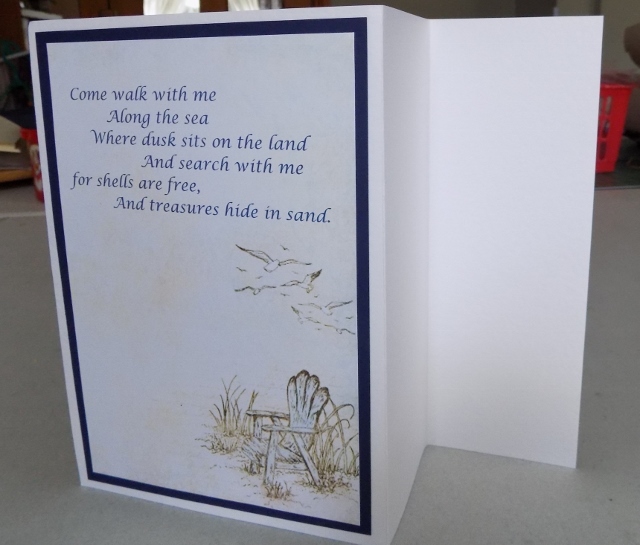 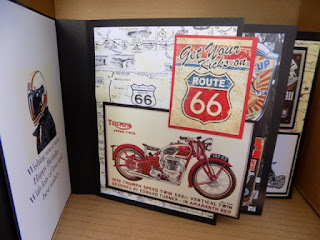 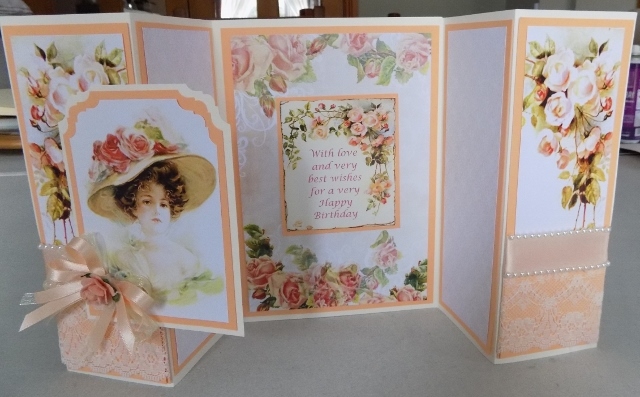 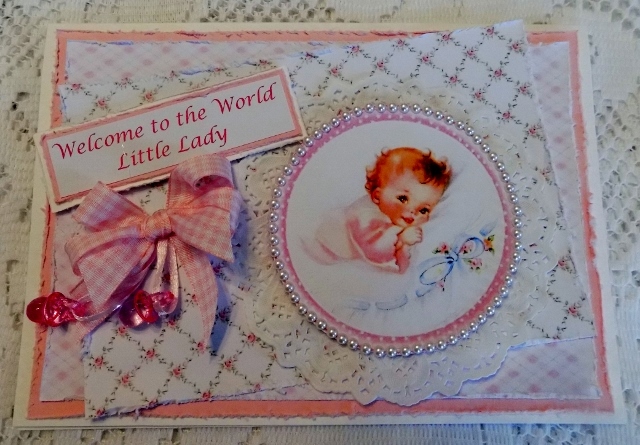 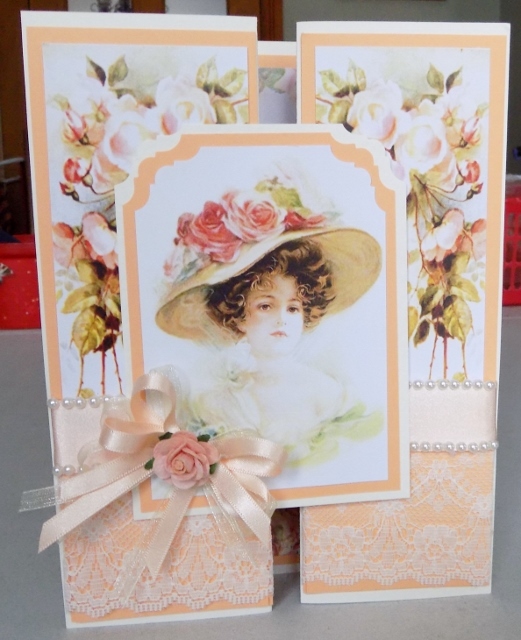 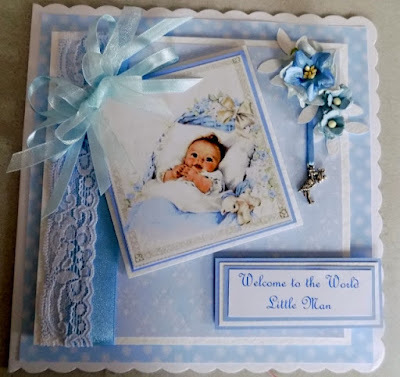 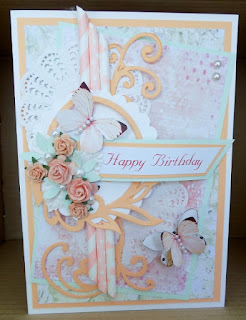 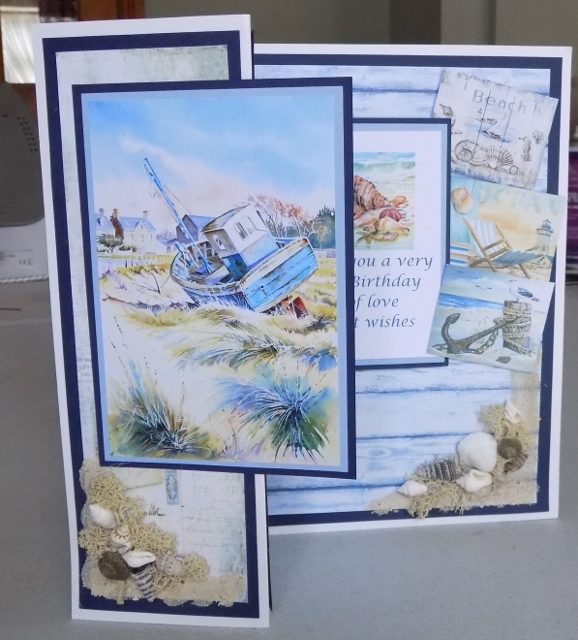 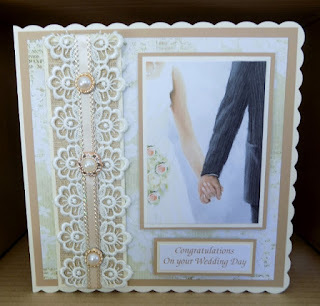 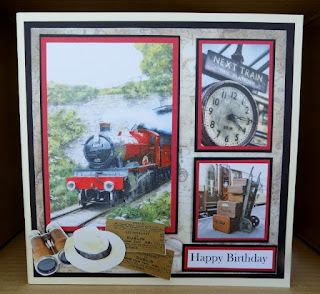 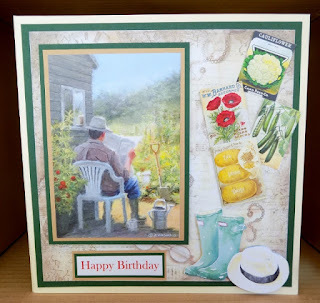 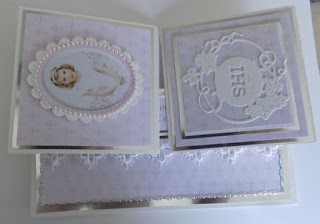 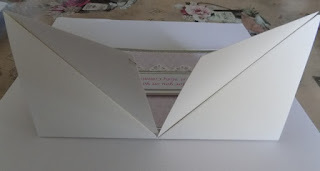 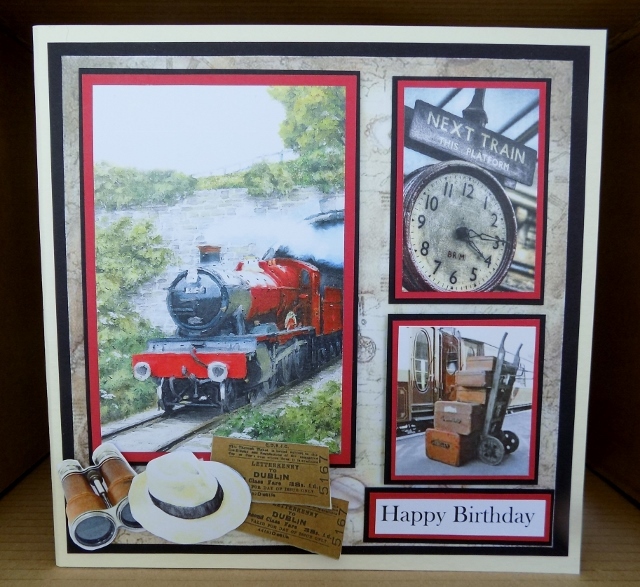 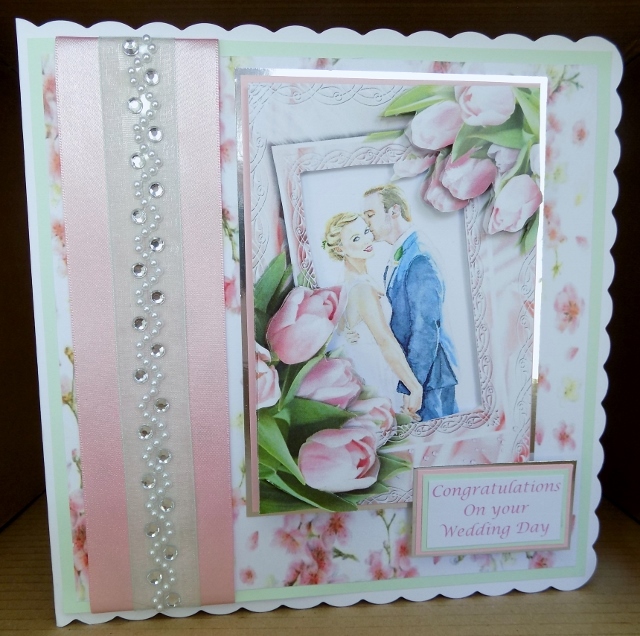 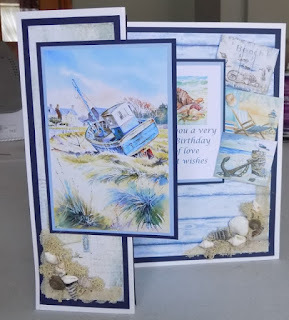 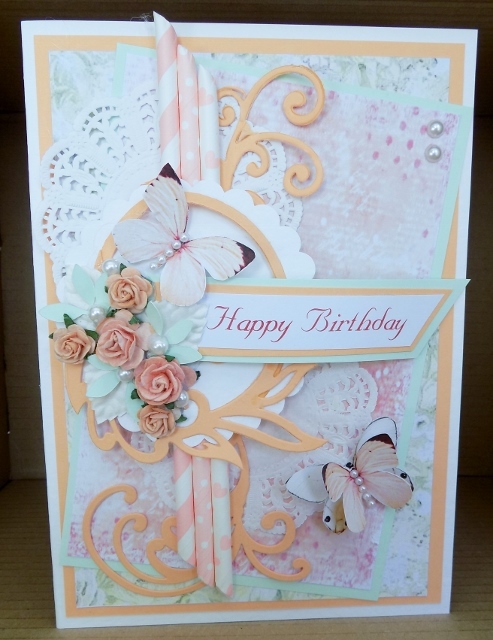 Multi fold book style card on a motor bike theme. loads of craic and wonderful company. with a Distressed edge detail. 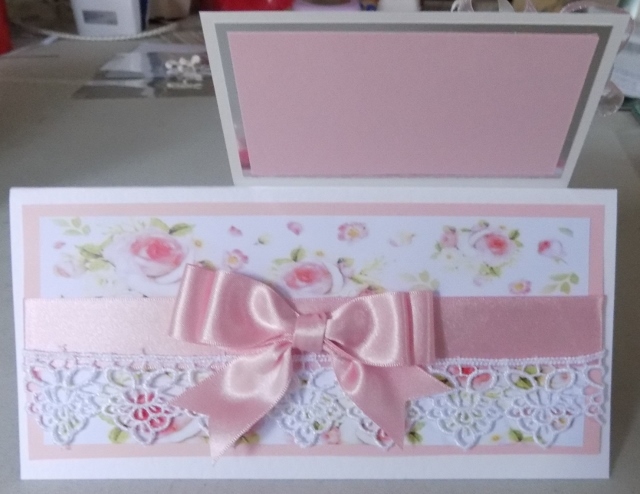 Back view Finished with lace and ribbon detail. 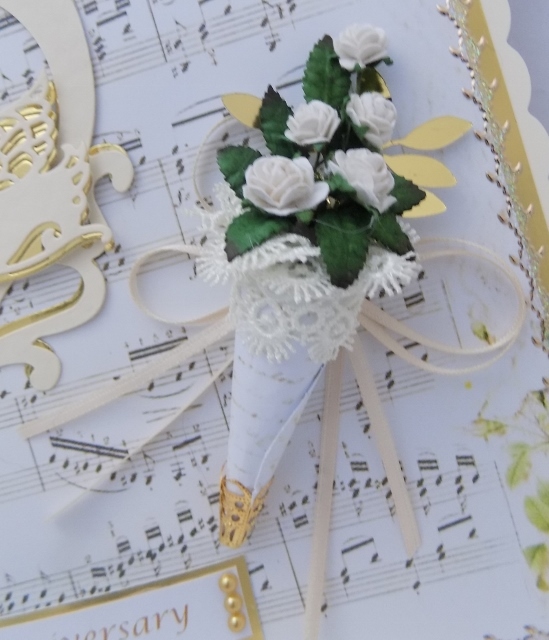 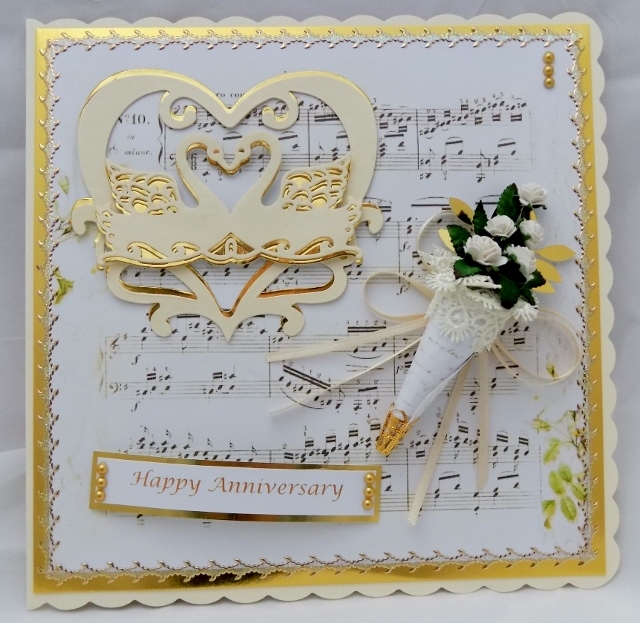 Vintage Cone Posy, for Anniversary/ or Wedding. I taught this a few years ago. 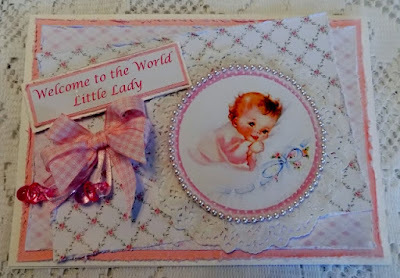 and still love it. 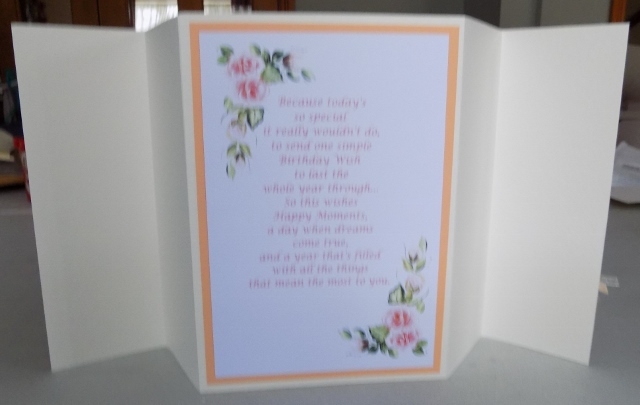 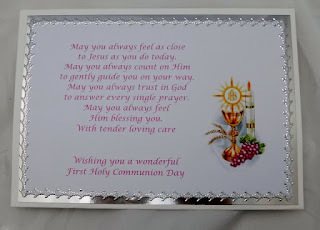 Poem on back of card. 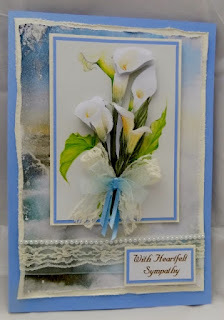 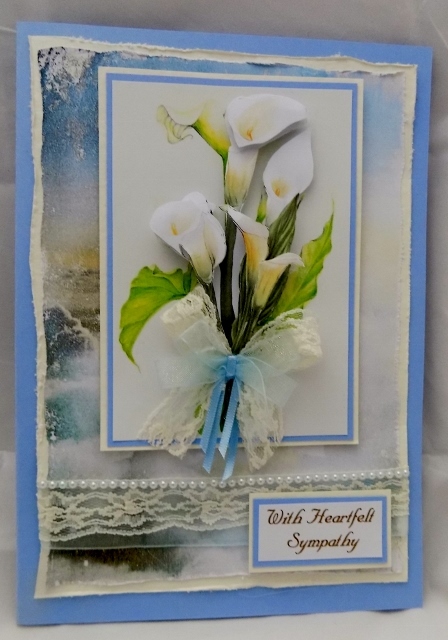 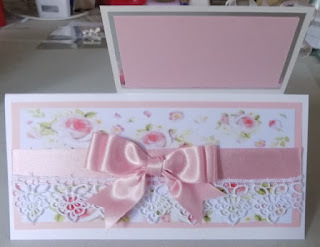 with decoupaged lily and finished with ribbon and lace.